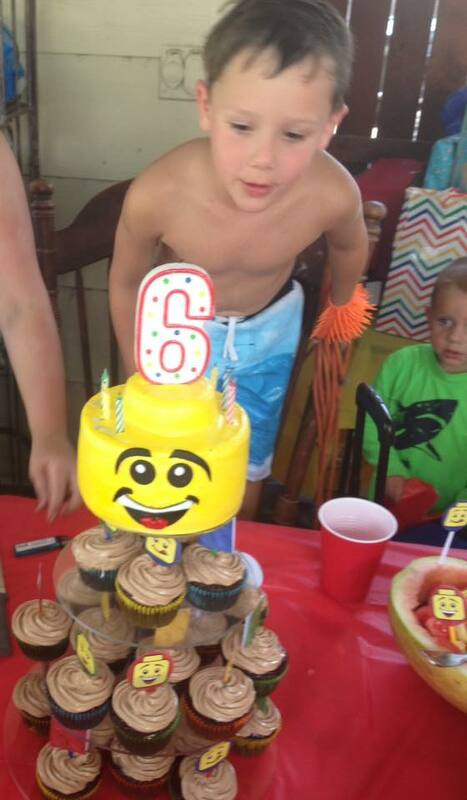 Our oldest son turned 6 a few weeks ago. He wanted a Lego Swim Party. Since Pinterest left me empty-handed when it came to Lego Swim Parties, I was on my own. 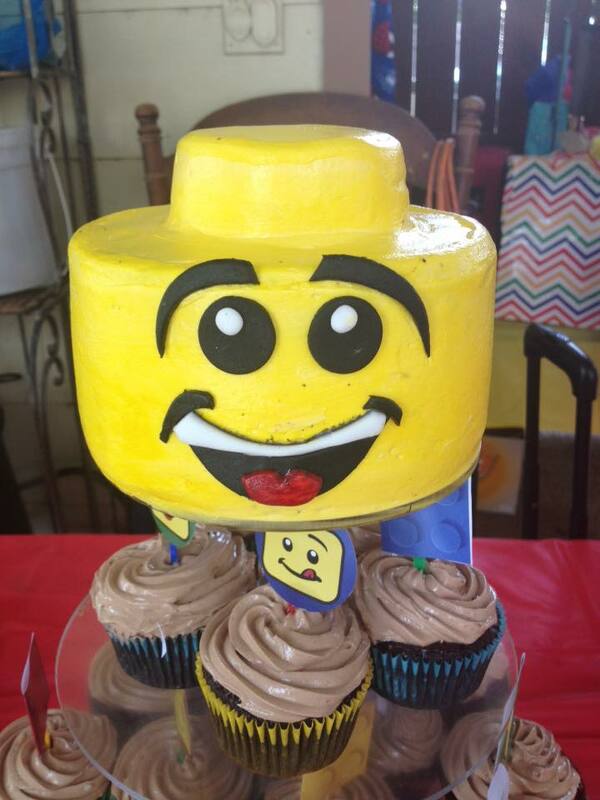 Walker requested a cupcake tower with a little cake on top. What you see in the bottom picture is the display all put together. The cake on top (pictured in the first two photos) is a 6-inch three layer cake with a smaller cake on top. The cake was my Rich Chocolate cake filled with alternating layers of chocolate ganache and chocolate buttercream. The cake was then frosted with tinted vanilla buttercream. 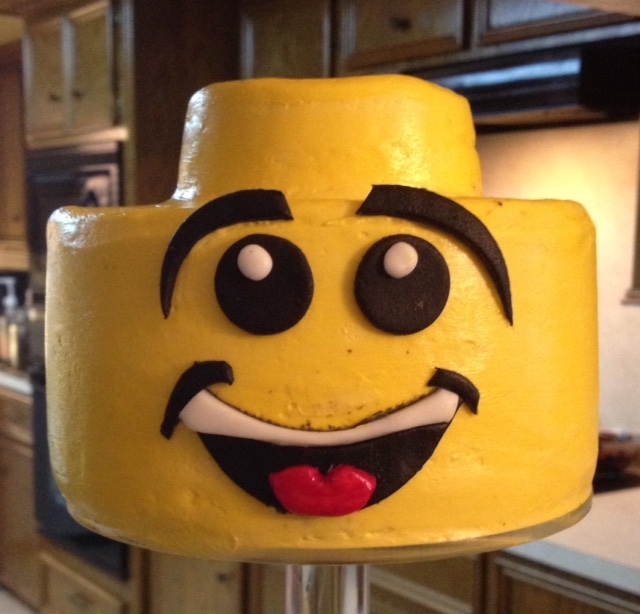 Hand-cut fondant facial features were then applied to two sides of the cake making the classic yellow two-faced Lego Man Head. Chocolate cupcakes frosted with chocolate buttercream completed the tower. Happy Birthday, Walker!! We love you bigger than the ocean!!! 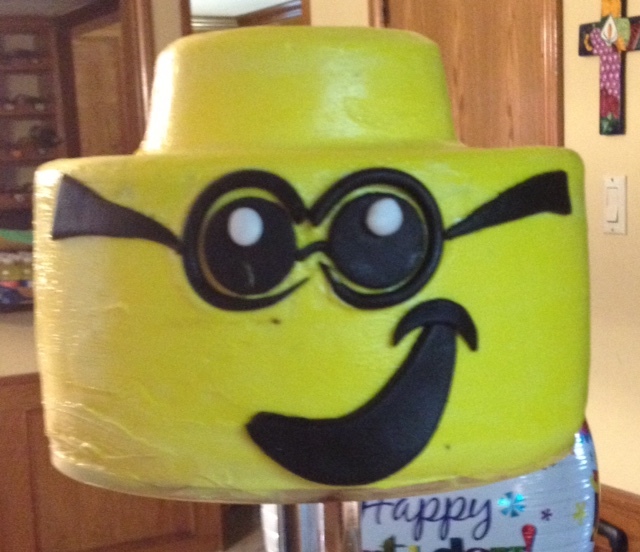 Posted in UncategorizedTagged birthday, boy, buttercream, cakes, cupcake tower, LegoBookmark the permalink.